I’m not entirely sure why forests are such a powerful setting and symbol in fantasy. Maybe it’s something to do with fairy tales, maybe something to do with how much of the land we now inhabit was once covered with vast acres of trees. Regardless, I love books that have forests as a main setting and I wanted to highlight some of them. They might engage with the mythology of forests in different ways, but they’re all playing with that sense of magic and danger. The Darkest Part of the Forest by Holly Black: The forest that Hazel and Ben enter plays a major part in this haunting book. The Jinx trilogy by Sage Blackwood: The Jinx trilogy is almost entirely set in the Urwald, a magical forest that’s full of danger and secrets. Sorrow’s Knot by Erin Bow: In Otter’s world any shadow can hold one of the deadly White Hands, and so the forest that surrounds her home is both beautiful and terrifying. Through the Woods by Emily Carroll: Carroll draws on fairy tale influences to weave her extremely creepy story of a girl who goes out into the dark woods. The Ordinary Princess by M.M. 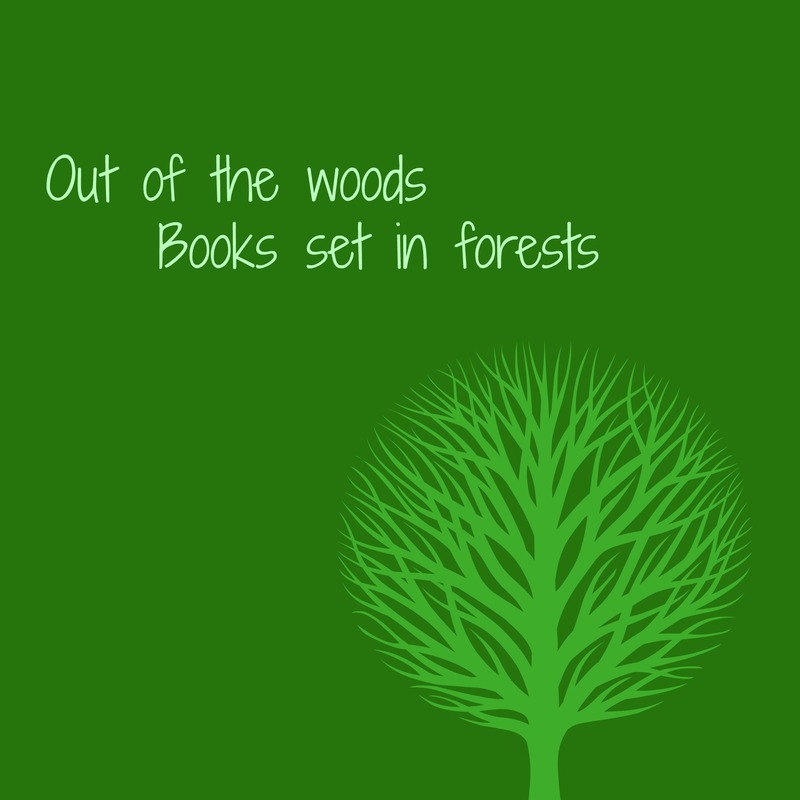 Kaye: The forest in this book is more benign than many of the others I’m featuring here, but it’s extremely delightful. Some Kind of Happiness by Claire LeGrand: Finley’s semi-imagined forest, the Everwood, drives a lot of this book, as well as being the place Finley feels the safest. In the Forests of Serre (and several others) by Patricia McKillip: McKillip loves to write about forests, and she often does so with a sense of the edges where they turn magical. Winnie-the-Pooh by A.A. Milne: Like the woods in The Ordinary Princess, The Hundred-Acre Woods are more benign than most of these stories. It’s still a magical and enchanting land. The Raven Boys by Maggie Stiefvater: A magical forest where the trees speak Latin and time is out of joint should definitely be on this list. The Enchanted Forest Chronicles by Patricia C. Wrede: I mean, they’re called The Enchanted Forest Chronicles. Also, a wonderful mix of funny and serious. Am I missing a favorite book set in a forest or woods? Let me know! I’d love to read more of them. Uprooted definitely deserves a place on here too! I love how the forest is both enemy and friend, provider and thief. I really need to get hold of Sorrow’s Knot – you’ve recommended it so many times! Oh my goodness, you are so right! I can’t believe I forgot that one. I was going to mention Uprooted but I see Caroline beat me to it! You’ve listed all the others I could think of. Yeah, I’m surprised I didn’t think of Uprooted, but there are just so many! The Hundred-Acre Wood is very important to me. Oh, such a good list! Here are a few more forest fantasies I came up with: The Witch’s Boy by Kelly Barnhill, The Jumbies by Tracey Baptiste (for a tropical forest), The Cats of Tanglewood Forest by Charles DeLint, and Forest of Wonders by Linda Sue Park. Also possibly Prince Caspian? I am sure I am missing some – there are so many wonderful magical forests! The Witch’s Boy! Indeed. And The Jumbies is a great take that isn’t Euro-centric. Uprooted was the first one I thought of, but there’s also Hexwood by Diana Wynne Jones, the Forest Sauvage in The Sword in the Stone by TH White, the Greensky books by Zilpha Keatley Snyder, and The Oak King and the Ash Queen by Ann Phillips. And of course the Elvenwood in The Perilous Gard! I screamed “THE ORDINARY PRINCESS.” What a great book that is. I used to have a terrible copy of it with a stupid cover but then one day in a glorious turn of events, I was at Foyles in London and there they had a beautiful copy with a beautiful copy, and now my life is better. Did you ever read Robin’s Country, by Monica Furlong? She was a children’s book author who only wrote, I dunno, four books? Something like that? Three of them were a series (first two very strong, last one less good as it was unfinished when she died) about magic in like, old-time-Celtic times (I liked them a lot! ), and the fourth was this increeeeedibly charming book where a kid gets taken in by Robin Hood and his Merrie Men? IT IS GREAT. I have not read Robin’s Country! I have read Wise Child and have been meaning to read the rest, but–you know how that goes.